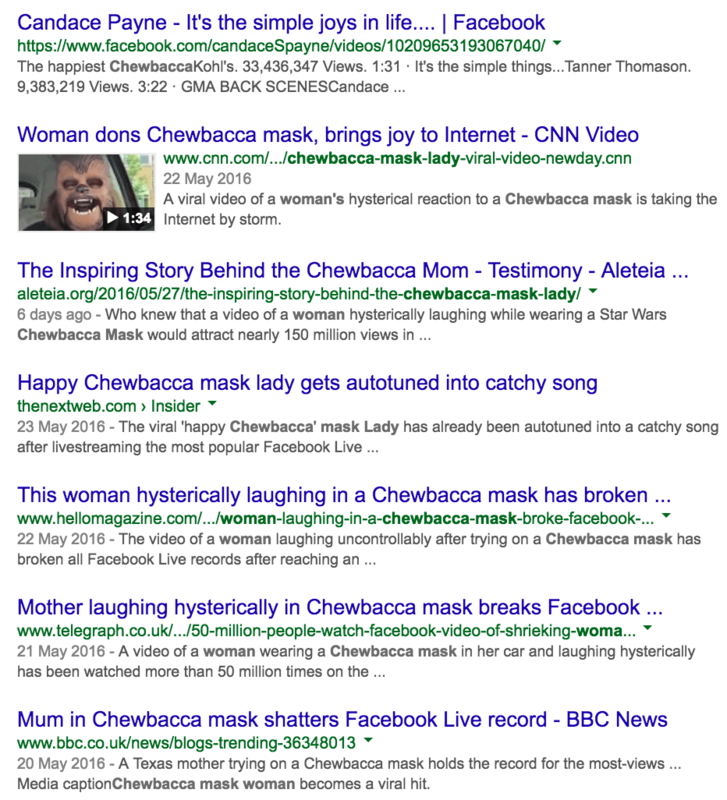 I love the Chewbacca mask toy story of Candace Payne and whilst some believe it may have been intentional and designed to generate sales for a new toy, do you know what? I really couldn’t care if it was. It’s a great happy feel good thing and it’s made lots of people smile. It also reveals some interesting stats for those who rode the coat tails. The success on youtube was phenomenal – A sea of copies and copycats rushed to jump on the happy train in a bid to emulate the success or just have a bit of fun with it and as the above youtube search results show, they attained quite healthy channel views as a result. Jon Deak (I’ve no idea if him and Candace are connected but he owes her a beer or two) 5 million page views. Incredible. Numbers to get advertisers moist in the jowls. A look at Google trends, shows the explosion of interest too. From nowhere, to ubiquity. 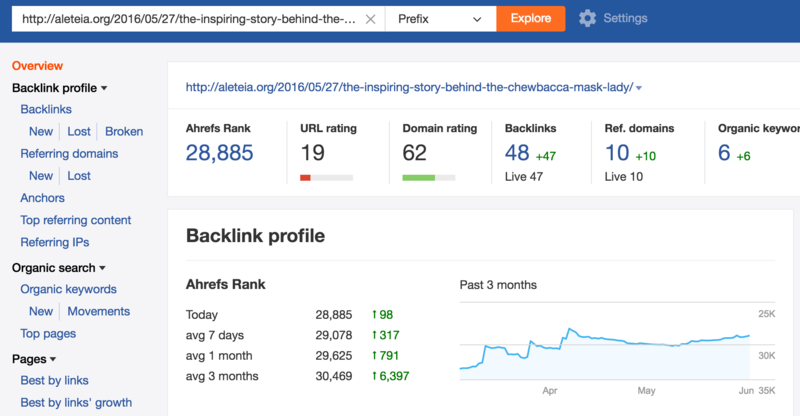 A look at the web results, reveals that here in the UK too lots of folk jumped in and wrote about it, and why not, it was funny after all and Candace has a great infectious laugh. 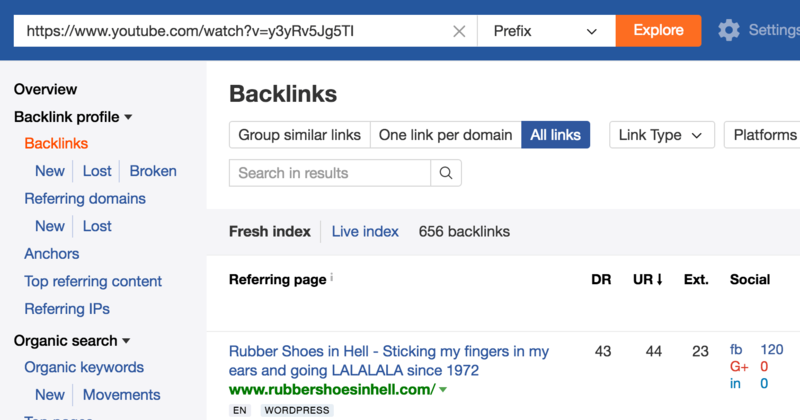 Let’s look at three of those urls and see what traction they attained using a few tools out there. 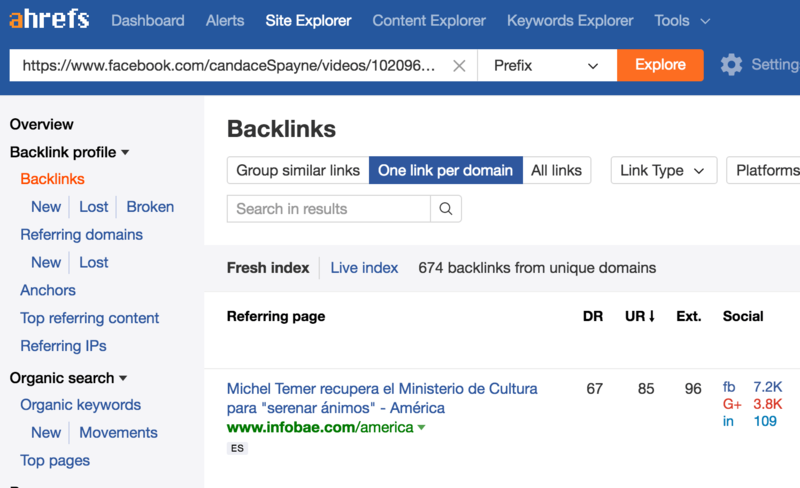 The Facebook URL with Candace’s video has (according to AHREFS) generated 674 unique domain citations. 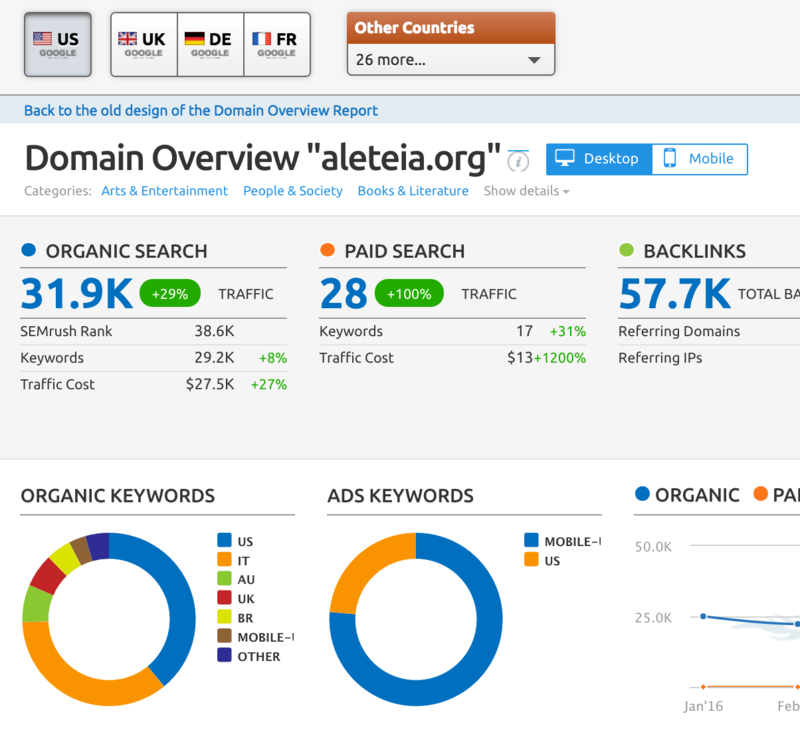 As a result alteia.org (according to SEMRush ) has seen a healthy uptick in its organic traffic recently of 29%. 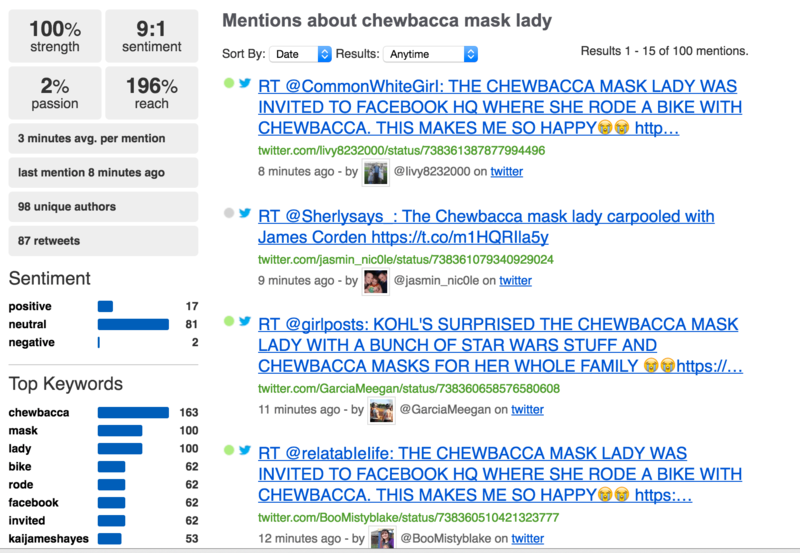 Not bad for a story about a lady in a mask. What characteristics does this story have and what can we learn from them? Well, I’m not going to say there’s a blueprint and here it is, ( I’d be fabulously wealthy cash wise if I could) but it’s useful to look at it and see if there are any common threads that we can at least consider and think about how things like this work and why they do so well and get traction and adoption. People like funny, people like to laugh, who knew! If we can make people feel things with our content, then we are usually on to a winner. Do you remember the laughing baby thing? 4.7 million views and rising. How many videos have you seen recently that featured a cool new toy that was hilarious? 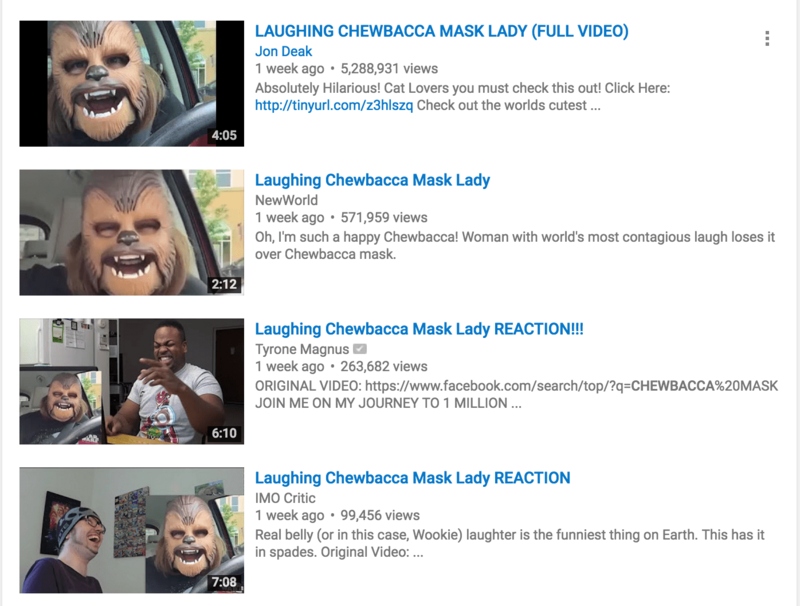 Not only did you find the video funny, you also secretly wanted your own mask too, right? Whether Candace intended it to be or not the story is pretty unique and creative! 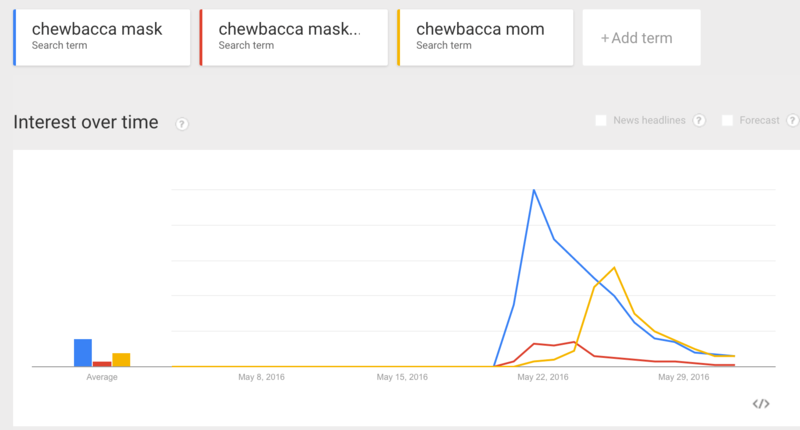 No one alive had ever shoved a chewy mask on their face and laughed inanely as an electronic Chewbacca cried out for affection. Creating cool stuff isn’t usually this easy. It’s hard, especially if you’re in a boring old niche, but stuff like this shows that you need not have a massive budget to succeed. If you can come up with something that’s genuine and useful (this is useful as getting people to laugh is absolutely useful) then you are half way there. I didn’t even touch on the number of social shares that the URL’s referenced generated, but they were pretty stellar too. Candace, I tip my hat. Update: I just also read that she and her family have also earned full tuition scholarships as a gift! Brilliant.